This is a new African violet that I bought the other day. I’d never seen this particular variety before and couldn’t resist the speckled pink blossoms. I also brought this one home. I’ve loved African violets since I was a little girl in Canada. Mom always had African violets on the kitchen window sill. 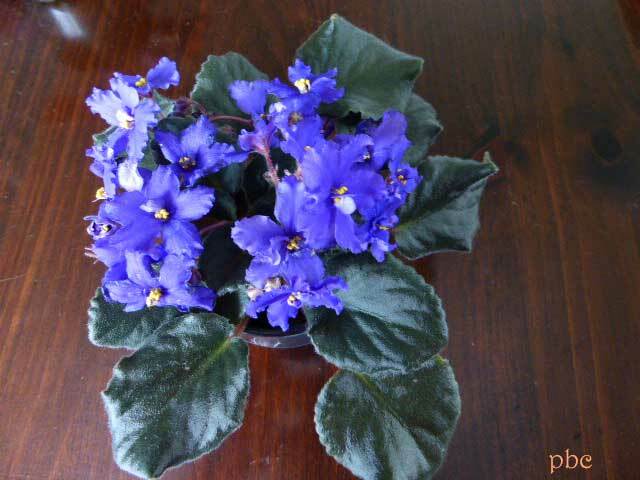 When I was first married, one of my husband’s co-workers gave me several African violet plants. She too loved African violets and had collected dozens of varieties. She shared some of her ideas with me and taught me how to grow healthy flowering plants. I want to share what she taught me many years ago. First of all, I believe that most people over-water their African violets. Below you see the small 4″ plastic container I place under each plant pot. I find that my African violets do best in the small plastic pots I buy them in. Once a year I repot them in a commercially prepared African violet soil, and I fertilize my plants every few months with a very small amount of all-purpose fertilizer. 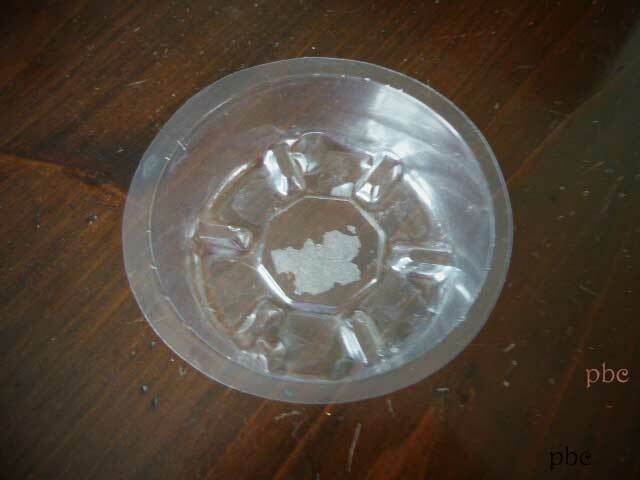 With the plant pot sitting in the plastic saucer, I usually fill the saucer to the top with tepid water, and let the plant absorb water from the bottom. I do water from the top occasionally being careful to keep leaves dry. Top watering washes harmful salts from the soil that can build up from bottom watering. I don’t water again until the top soil is dry to the touch. Better to underwater slightly than to over water. 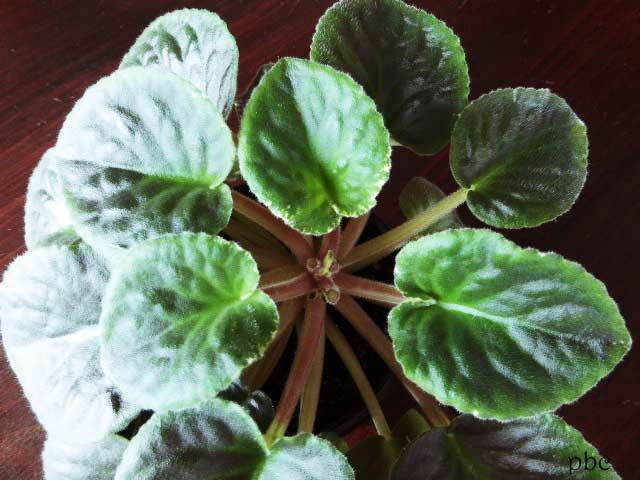 Above you see a healthy African violet that has finished flowering. 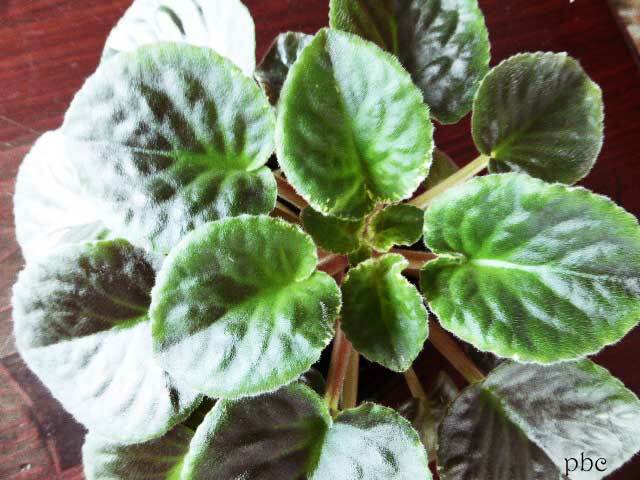 The friend who taught me about African violets told me that the leaves in the center of the plant keep the light from reaching in and encouraging flowers. African violets need all of the indirect light they can get to produce flowers.You need to keep your African violets away from direct summer sun because it might burn the foliage and turn leaves yellow. You can see the central leaves above, but In the picture below you can see where I’ve removed some of those leaves. The plant looks a little bare, but before long it will produce buds, and the center will be covered in delicate flowers. When it does I’ll be sure to post a picture. 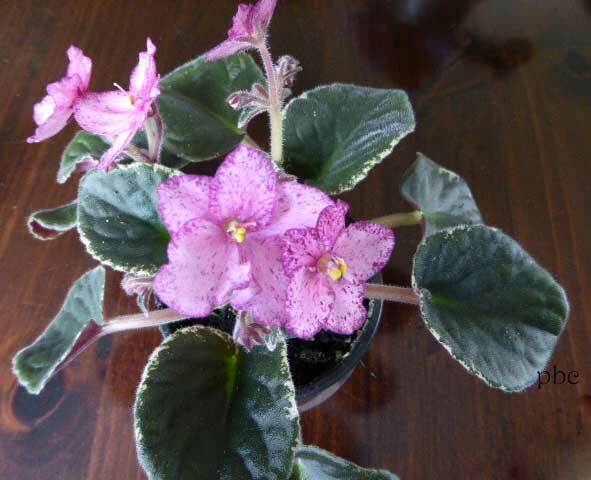 This entry was posted in Indoor Plants and tagged African Violets, Gardening by Janice. Bookmark the permalink.